Opposition MPs call on Liam Fox to categorically rule out the UK accepting US standards after Brexit. However, Labour has called on Fox to go further, and explicitly rule out US food standards being accepted after Brexit. “If Liam Fox means what he says, he should categorically rule out any acceptance of US food standards in a possible trade deal,” Shadow Trade Minister Bill Esterson said. Animal welfare groups have expressed concern about a possible UK-US free trade deal. 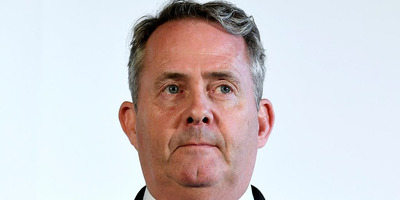 LONDON – Liam Fox is under pressure to categorically rule out the UK adopting US food standards in any post-Brexit free trade deal. However, MPs want Fox to go further and explicitly rule out the UK accepting any US standards on food. Fox has previously said he has “no objection” to controversial US products like chlorine-washed chicken which is banned in the EU. Bill Esterson MP, Labour’s Shadow International Trade Minister, said: “The Conservatives must reject the unpalatable menu options which are being served up by US food producers. He was joined by ex-Green party leader and People’s Vote supporter, Caroline Lucas, who told BI: “Liam Fox is in no position to lecture anyone about the truth. His claim that we can achieve a trade deal with the USA and maintain our high food standards is doublespeak. The EU has a strict set of rules when it comes to food and agriculture which has created trade barriers between the continent and the US. President Trump has previously criticised these “barriers” and Wilbur Ross, Trump’s Secretary of Commerce,said last October that scrapping strict EU standards in areas like food hygiene and agriculture would be a “critical component” to any post-Brexit UK-UK free trade deal. Numerous US officials have been clear that the UK must move closer to US standards in order to sign a deep trade deal which covers food and agriculture, triggering fears about the potential impact on UK public health. Sustain, a multi-group campaign for “better food farming,”published research earlier this year suggesting that the percentage of people who get food poisoning is ten times higher in the US than in the UK. “The US reports higher rates of illness from foodborne illness than in the UK. Annually, 14.7% (48m) of the US population suffer from an illness, versus 1.5% (1m) in the UK,” Sustain warned. Animal welfare charities and organisations have told BI they are worried about the government’s failure to categorically rule out the adoption of US standards. A poll published earlier this year found that an overwhelming majority of Brits were willing to ditch a post-Brexit deal with the US in order to protect UK’s animal welfare and food safety standards.